With more and more people learning to code and use Photoshop, web design has now grown to be one of the most competitive industries in the world. Especially with online tools like The Grid developing new technologies for automating design work, web design agencies are now having to work harder to prove themselves worthy and land new clients. The key to survival in the web design industry today is creating work that sets yourself apart from mediocre designers and gets your agency stand out in the crowd. You need to be able to be bold and brave enough to break a few rules as well. Sometimes, all it takes to get yourself noticed is to design an unusual and a really wild website that stuns everyone at first sight. Like Edita’s Casting website. If you’re looking to get your web design agency noticed, start by following the steps and advice we’ll be sharing today! Web design is a massive industry. Yet everyone’s still trying to be a jack of all trades. It’s actually one of the biggest mistakes many design agencies make. Instead of trying to target all fields of web design, try to find a niche that you’re really good at and offer your services as a specialist in that field. Big clients want to hire the specialists, not the agencies that do a project at the cheapest price. Think about it, when you have a serious illness do you go to your family doctor or make an appointment with a specialist? Whether it’s front-end design, WordPress based web design, or Web-App design, narrow it down to one field and do great work to build your reputation around it. This design firm named Madwell have found their niche by developing family friendly websites. Most of their clients are kid-friendly businesses. Right next to fashion, web design is one of the industries that constantly goes through different trends every year. Just when designers start catching up with the Flat design then Google introduces us to Material design. You can never know enough of web design trends. And it’s always wise to stay updated on the latest design trends so that you can offer relevant and up-to-date design experiences to your clients. Of course, you can try and start your own trends if you dare. Websites like Awwwards pay close attention to those risk-takers in web design and award them with well-deserved attention. As an agency, you should always be open to new suggestions and creative ideas. It’s all about great teamwork. Don’t wait around for inspiration or blindly follow the client’s instructions. Hold team meetings, do proper research, and brainstorm for ideas to create a plan for your designs beforehand. A solid pre-design plan will not only improve your workflow, but it will also help you focus on creating unique designs using your team perspective and skills. Psychology plays an important role in web design. Every aspect of your design, from the images to typography and color, helps users determine whether or not your design is a winner. 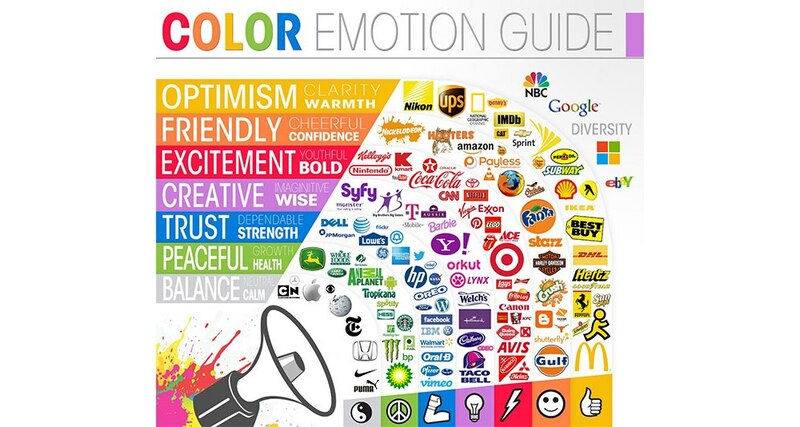 Especially, the psychology of color is one aspect that you should be familiar with to create attractive website designs. It helps influence users, evoke their emotions, and even to persuade them to take action. Have you ever wondered why you stop your vehicle when the color red shows up on a traffic light or why all “for sale” signs have red backgrounds? Find ways to use psychological tricks to attract more attention to your designs and create a unique identity for your agency. Creating a unique brand identity for your design agency is another great way to get yourself noticed no matter what kind of web design work you do. 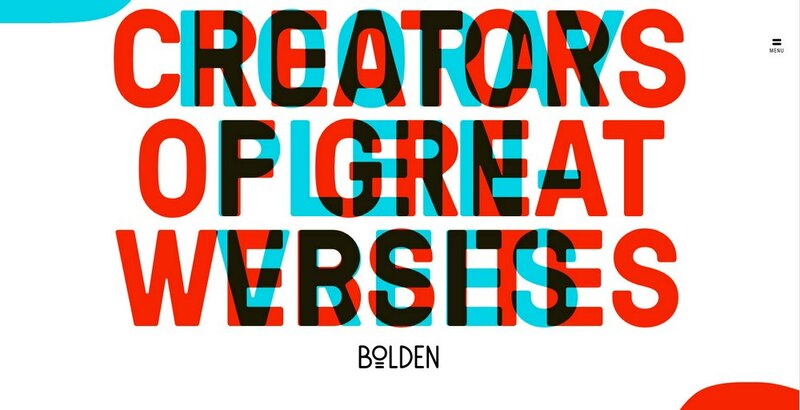 For example, this Dutch web design agency, Bolden, take a unique approach in their design work. The agency has even developed their own content management system (CMS) to build websites with improved user experience. The agency is also known for their brilliant use of SVG animations. That doesn’t mean you have to develop your own CMS to get noticed. Just find a strategy to set your agency above the rest. It could even be something as simple as including unique illustrations and icon designs in your web designs or building your own web framework. Sometimes, the best way to build more awareness for your brand and get people to talk about design agency is to create something great and give it away for free. Build a great app and make it open source, design a beautiful website template and let businesses use it for free, or try sharing your own expertise through a blog. This one design firm used this same tactic to get more attention by open sourcing all of its logo designs that gets rejected by startups. Another great strategy that many design agencies use is creating better and more attractive redesigned concepts for popular websites, like a concept design for a better version of Facebook. You don’t always have to do original work to get noticed, as long as you focus on improving and designing websites that offer a great user experience. As Pablo Picasso once said, “Good artists copy, great artists steal.” Get this right, pull inspiration from a wide range of sources, and you’ll be on a strong path!